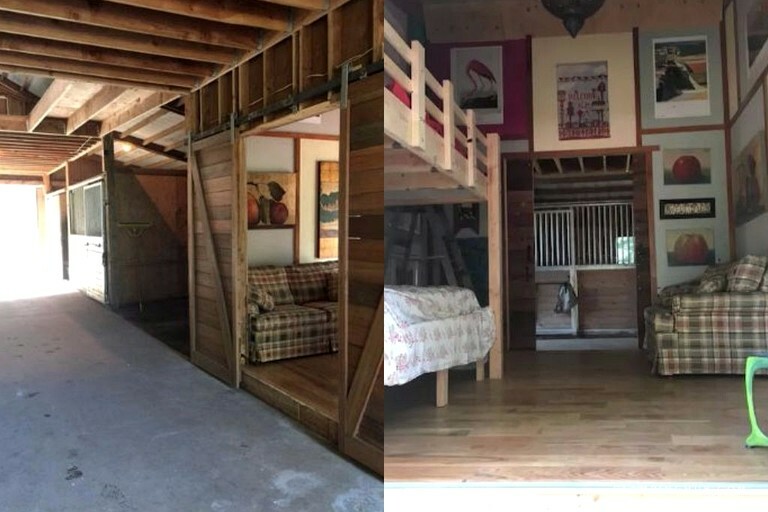 This pastoral barn getaway is located in Corbett, Oregon, and can accommodate four guests. 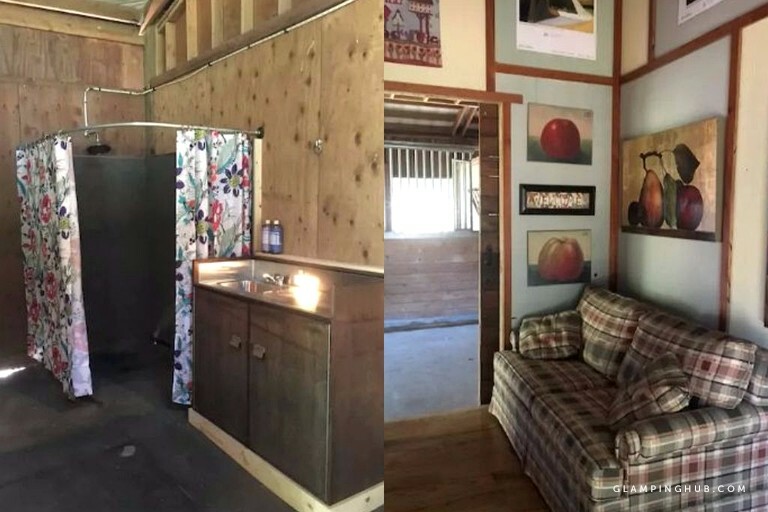 This 12x12 renovated horse stall currently serves as a studio containing one single and two double beds. There are also bathroom facilities including a shower and sink, and an outhouse six steps outside the front door. Guests also have the use of a refrigerator, free Wi-Fi, and a washer and dryer. All of the accommodations on the property have access to Wi-Fi, heating, and free parking on the premises. As a working small farm, there are over 50 animals to be found on the grounds as well as a vegetable garden and fruit trees and bushes. Guests will also be able to enjoy access to walking trails, indoor and outdoor riding arenas, Laughing Water Creek, two footbridges, and a working outhouse. Guests are able to book horseback riding lessons or guided excursions, as well as riding equine therapy, by calling ahead and paying a modest fee. Cancellations of riding activities made more than 24 hours before are fully refundable. 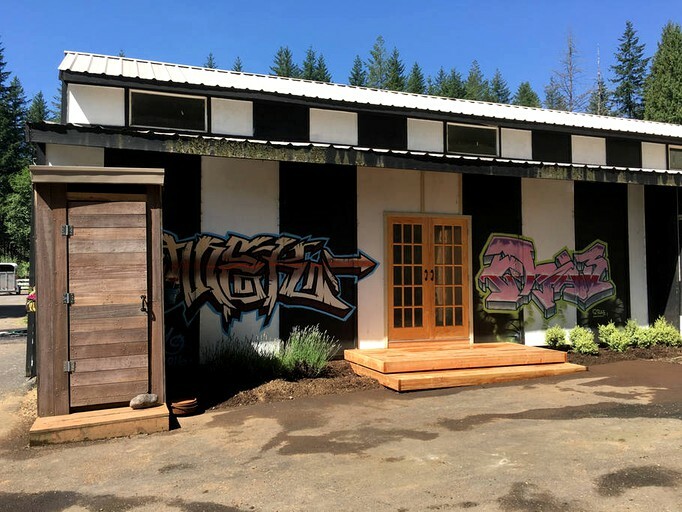 This is an excellent place to disconnect, unplug, and become immersed in nature with a variety of options for hikers or those interested in wildlife viewing or meditating. The farm itself is host to several walking trails while only 45 minutes away from the picturesque Multnomah Falls, the highest in Oregon. Less than an hour away is Mt. Hood National Forest, one of the most breathtaking places the continental United States has to offer. 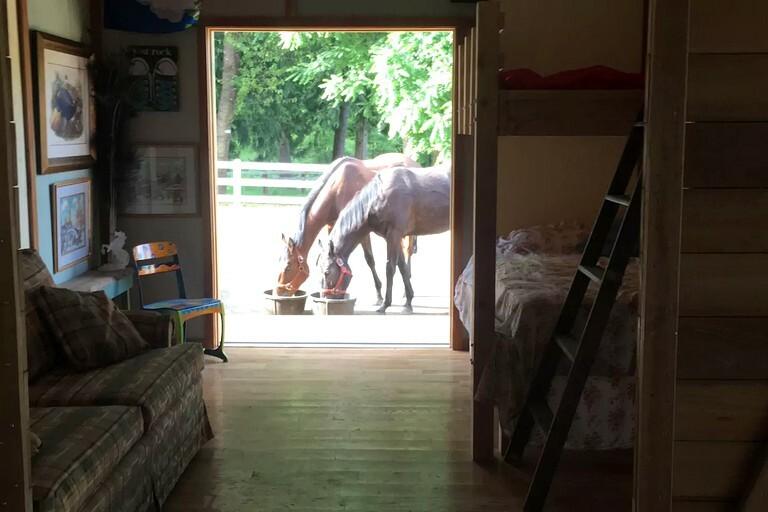 Back on the farm, visitors won't want to miss the opportunity to go on a guided horseback riding trip, take riding lessons, or spend some time feeding the animals. 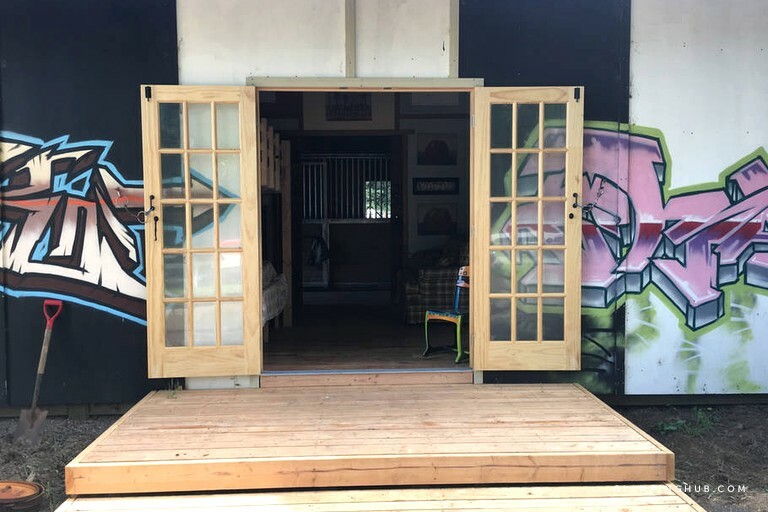 For those who wouldn't mind interspersing some urban experiences into the mix, the city of Portland and its full range of cultural options are only 30 miles away.